This week's Sunday G/30 Quads hosted two quads. In the top quad, Liam Kaufman landed in first place with a perfect score of 3 points! 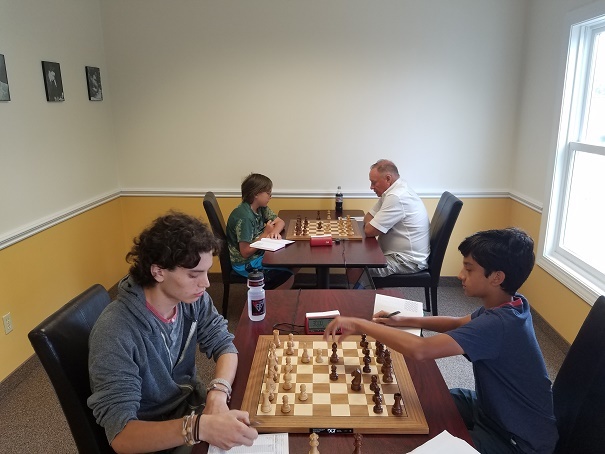 Tied for second place were the other three players in the quad, Eugene Ulyanov, Aurelius Mlynar and Shailen Smith, with 1 point each. Matthew Shirvell and Filip Graham tied for first place with 2.5 points each! They were followed by Nathaniel Moor with 1 point. Thank you to everyone who came out! We hope you enjoyed yourself and will come back soon!